Valentine’s Day is just around the corner, so why not send a gorgeous bouquet to a loved one and receive a free vase with your order when you spend over £40. Use code FREEVASE now - but hurry, this offer is for a limited time only! 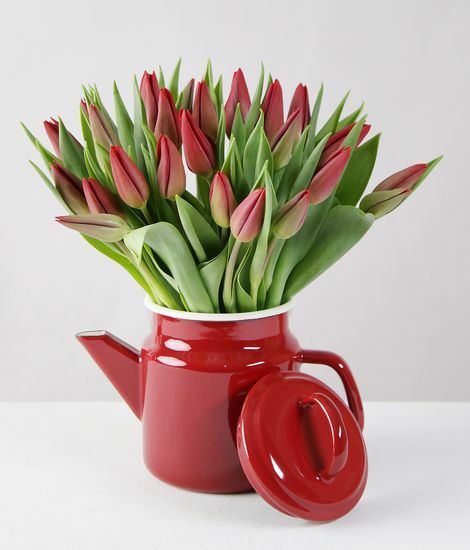 This delightful bouquet of vibrant red tulips comes with a gift they can treasure forever: an enamelled Dexam teapot in a gorgeous shade of burgundy that beautifully matches the flowers. Sometimes the traditional way is the best way. 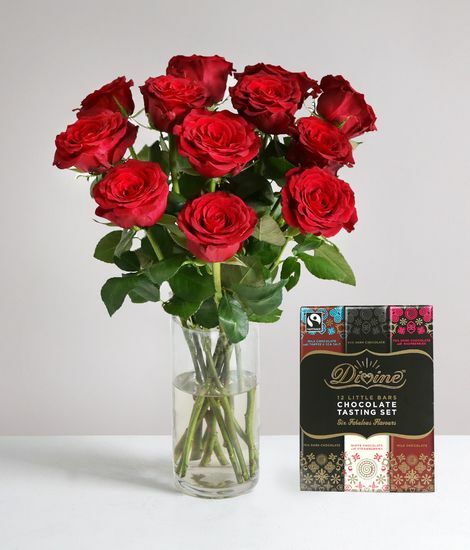 We’ve paired a dozen gorgeous red roses with a mouthwatering selection of chocolates to create this delightful gift set for true romantics. 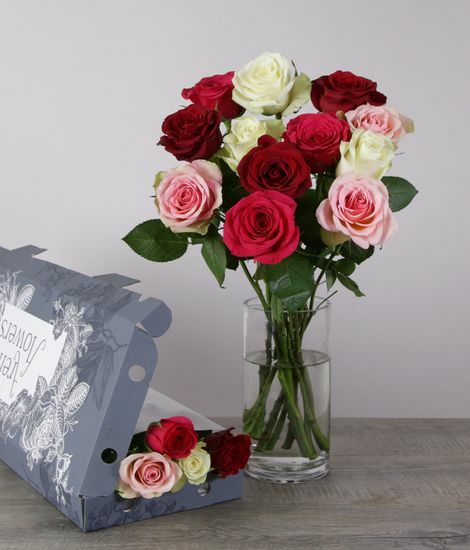 Tell someone you love them with this gorgeous selection of roses, which mixes delicate pink and passionate cerise with pure white and classic red. They’re designed to fit through the letterbox for drama-free delivery, giving your beloved a romantic surprise when they get back from work.